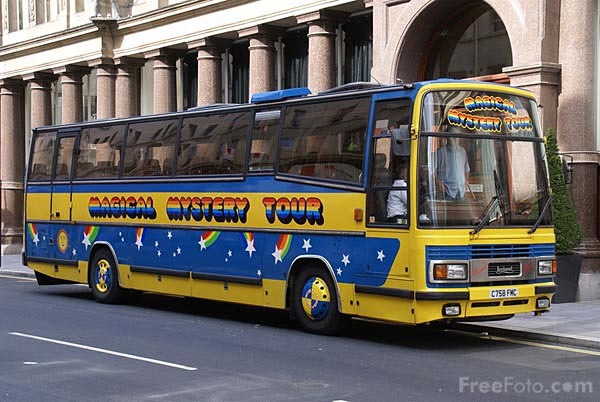 Step aboard the colourful Magical Mystery Tour bus for a fun and fascinating 2 hour tour of Beatles Liverpool. You'll see all the places associated with John, Paul, George and Ringo as they grew up, met and formed the band that would take the pop world by storm. The tour takes you to see their childhood homes, schools and colleges and you'll get up close to the places that inspired some of their most memorable songs - Penny Lane and Strawberry Field. You’ll be kept entertained along the way by one of our fully qualified Beatles Guides and some Fab Four tunes. The tour finishes at the legendary Cavern Club, where you can collect an exclusive souvenir of your trip.